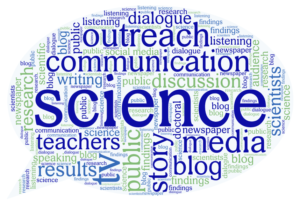 What role does science communication serve in society? 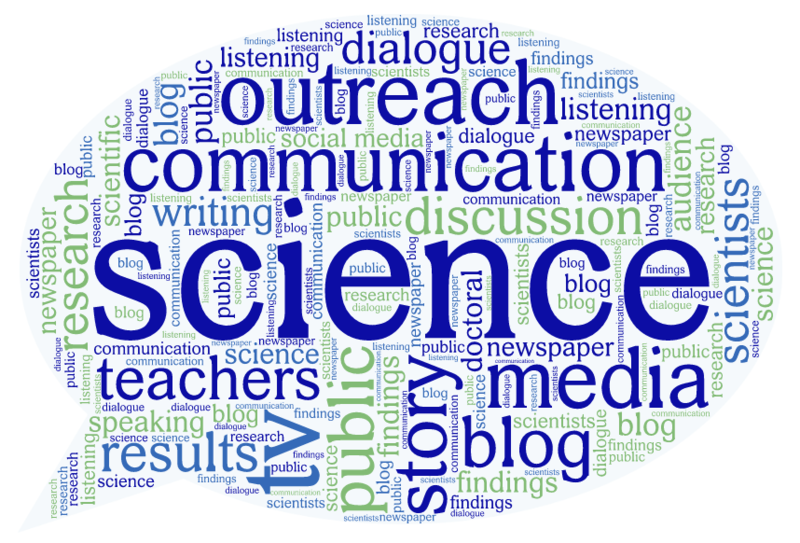 Science communication aims to increase public awareness about science by sharing science-related topics through different medias like journalism, policy, news media, blogs, social media, and outreach opportunities. Despite national agencies mandating research with public engagement and many scientists considering it their responsibility to engage the media and taxpayers, a stigma exists in academia regarding scientists who actively engage in outreach efforts. The Sagan Effect is a stigma attached to spending too much time translating one’s research to the broader public. This phenomenon is named after Carl Sagan, an American astronomer and well-known popularizer, whose National Academy of Sciences nomination was rejected and tenure application denied by Harvard University. Yet, later analyses of Sagan’s publications suggest that his academic career was comparable to Academy members and colleagues who were less involved in public outreach. According to the Sagan Effect, scientists’ research productivity (quantity and quality) is perceived as inversely proportional to the amount of time spent on outreach efforts or popularity. In particular, scientists who spend a considerable amount of time and effort communicating science to the public are often viewed as less successful than their colleagues and their science is considered less rigorous. Some of their colleagues worry that these public scientists, or popularizers, are more focused on media presence than discovery. However, the surprise finding of this study was that scientists who engaged in public outreach are actually more active academically than the average scientist. So, truth be told, dissemination was not done by lesser academics. On the contrary, wider dissemination activities were correlated with higher performance. Several studies are investigating these perceptions, demographics of public scientists, and barriers preventing more scientists from engaging. Women and scientists early in their careers are more likely to actively participate in science communication and outreach efforts. The most commonly cited barriers to outreach participation are time and lack of institutional support. Because research university systems value research productivity via grants and publications, scientists spend little time participating in efforts that are not directly related to their academic career goals. They perceive little to no reward from academia for actively engaging with the public, especially during the tenure process. Others say a lack of infrastructure makes finding and participating in outreach efforts a time- and labor-intensive process. Sadly, 5% of scientists in this study do not participate in outreach because “they do not see it as part of their role as a scientist; these scientists believe that it is not their job to interpret their work for a broader audience.” Because it is not their responsibility, several scientists propose having non-scientists organize outreach efforts. From their perspective, scientists should focus on what they do best and share their work with intermediate people, who are very good at communicating science to the public. Alternatively, other scientists propose that a prominent figurehead who is well respected by the scientific community and the public, like a Nobel laureate, should lead national outreach efforts. For example, Neil deGrasse Tyson and William Sandford Nye, better known as “Bill Nye the Science Guy,” are prominent scientists and advocators often seen in media and recognized by the public. Tyson, in fact, was influenced by Carl Sagan, inspiring him to pursue both academic success and science communication. 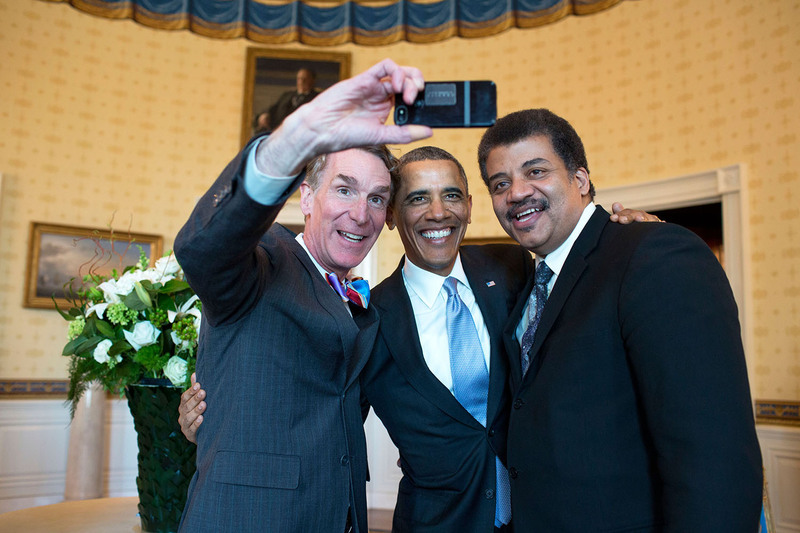 Selfie of Bill Nye the Science Guy, President Obama, and Neil deGrasse Tyson at the White House Student Film Festival in 2014. K-12 students across the country created short films on the role of technology in their classrooms. Despite effective communication among scientists via peer-reviewed publications, some scientists indicate that poor interpersonal communication skills prompt them to avoid outreach efforts. In fact, 29% of all respondents stated that scientists are poor interpersonal communicators regardless of their actual skills. Yet training scientists to become effective communicators to non-experts and the public is not often cited as a possible solution. Surprisingly, about 25% of respondents described the public itself as a massive barrier to effective science outreach. These views were based on claims that the public is disinterested in science and does not trust scientists, discouraging outreach efforts because they are assumed to be ill-received. How do we bridge the gap between scientists and the public? It’s time for a change — a positive embrace of science communication and outreach. Academic institutions should provide support for public engagement and facilitate opportunities for faculty to work with local schools, museums, and science centers. Perhaps science communication and outreach could be considered in the tenure process. Graduate and postdoctoral training should also include effective communication skills for both the scientific community and the general public. UNC is actively trying to address these concerns by providing seminars and workshop series on communication skills and outreach opportunities, in addition to professional development skills. Active participation by scientists at all stages of their careers will hopefully eliminate the Sagan Effect. Scientific discovery should not be kept in the scientific community — it should be shared freely with the public to keep them well-informed. Hopefully, the more the public interacts with diverse scientists, the more scientists will gain their trust and inspire a new generation of scientists and science communicators. Peer edited by Alison Early and Caddy Hobbs. 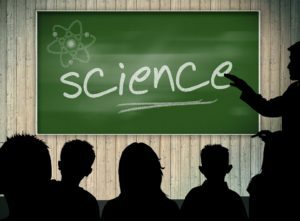 Science Outreach: Is It Really Worth it? Standing off to the side of the demonstration, I watched a six-year-old girl carefully pick up her paper airplane from the ground and bring it back to her work station. With intense concentration, she snipped away a part of each wing, making the plane more sleek and adept for flying. After several more snips, she held it up to her mother to observe, then ran to an open area to test her experimental adjustments. Such are the moments that we live for as scientists who are truly passionate about outreach. Whether we work with children or adults, we all have a common goal: communicating our love of science in a way that inspires others. To me, there is no better reward than that. Science outreach often involves teaching others about science, which many people find rewarding. As a PhD student at a large R1 school, I know how competitive it is to win a fellowship. From the moment we enter graduate school, we are encouraged to apply for every grant we see. 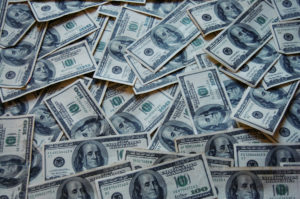 Through organizations such as the National Science Foundation (NSF), millions of dollars are provided to support graduate students in performing groundbreaking research that largely impacts society. However, as I come to meet more scientists, my faith is beginning to wander concerning the true intentions of those who are supported by such agencies. In my first semester of grad school, I was required to take a semester-long class to learn the art of grant-writing. The biggest point I took away was that institutions like the NSF pride themselves on two main focuses: intellectual merit (the impact of the research on the field) and broader impacts (science outreach). It’s common for students’ applications to be rejected due to their lack of outreach. Thus, to avoid rejection on next year’s round, they get involved with outreach events wherever they can – museums, libraries, schools, and the like. However, once NSF’s application deadline passes, so does students’ interest. It’s already a line on their resume, so no need to continue attending, right? Don’t get me wrong, even forced science outreach can be valuable. But to someone who actually enjoys volunteering and public service, this is quite a nuisance. Even professors sometimes do outreach solely to include it in their grant proposals. While these activities nonetheless help bring science to the community, I argue that it takes away from the true greater good. If we’re only doing outreach to put it on our resumes, what prevents us from skimping? Can we be confident that our work is being done well, and if it’s actually benefitting others? 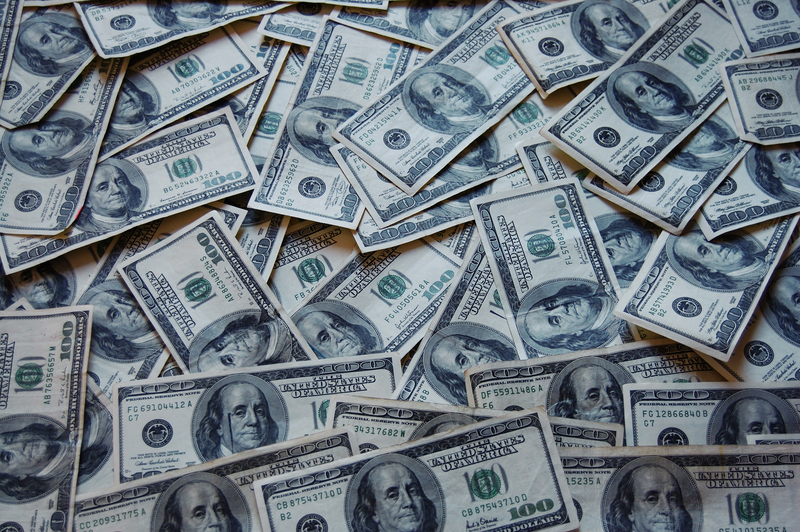 Grant applications (i.e., research funding) often require a PI’s involvement in science outreach. In order to really make a difference, we need to look past the funding allocations and prestige of awards. We need to stress the fact to our scientific colleagues that outreach is a critical component of good science. Additionally, if we want to be good educators, we must first educate ourselves. A great way to do this is through workshops and classes that teach us the importance of good science communication. It’s easy to get caught up in the jargon that we use in the lab every day. By learning how to be effective presenters, we can better understand what inspires others, and can lead them to share in our enthusiasm for science. On the other hand, we must recruit and retain motivated scientists to accomplish this task. Grad students, I’m looking at you! There are so many ways to get involved in outreach, both within and outside of the university. Find something that you’re passionate about, then share your excitement with others. The beauty of science outreach is that you get to be the author of the story that you tell. The only question left now: will you help us? Ultimately, the choice is yours.